Providing you the best range of poddar boys canvas shoes, poddar canvas shoes, stylish canvas shoe, center court maroon canvas shoe, poddar centere court black canvas shoe and center court brown canvas shore with effective & timely delivery. 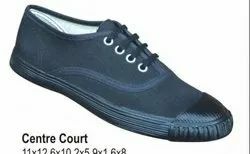 P. P. Rubber Products Private Limited is a preferred name in the market that manufactures and exports a varied series of Boys Canvas Shoes. Made available in various sizes and color combinations, these comfortable shoes are manufactured from supreme quality material. Proffered collection is vastly appreciated for its fine finishing, lightweight and ease of maintenance. 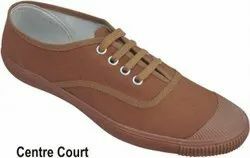 Ours is a well-known name in the industry that manufactures, exports and supplies Canvas Shoes. Lightweight, easy to maintain and highly comfortable, the proffered collection of shoes is suitable for casual wear. Our precious customers can obtain the range in multiple sizes and attractive color combinations. We provide standardized packaging of our products.